Formed in 1980 and having been successful for over 30 years, the global phenomenon behind mastermind Jean-Paul ‘Bluey’ Maunick now returns with a fresh and unique sound on their 15th studio album “Surreal”. The new album includes 14 beautiful songs over a bed of fluid bass lines and irresistible drum grooves which, by all means, reflect the energy of the band’s live shows. 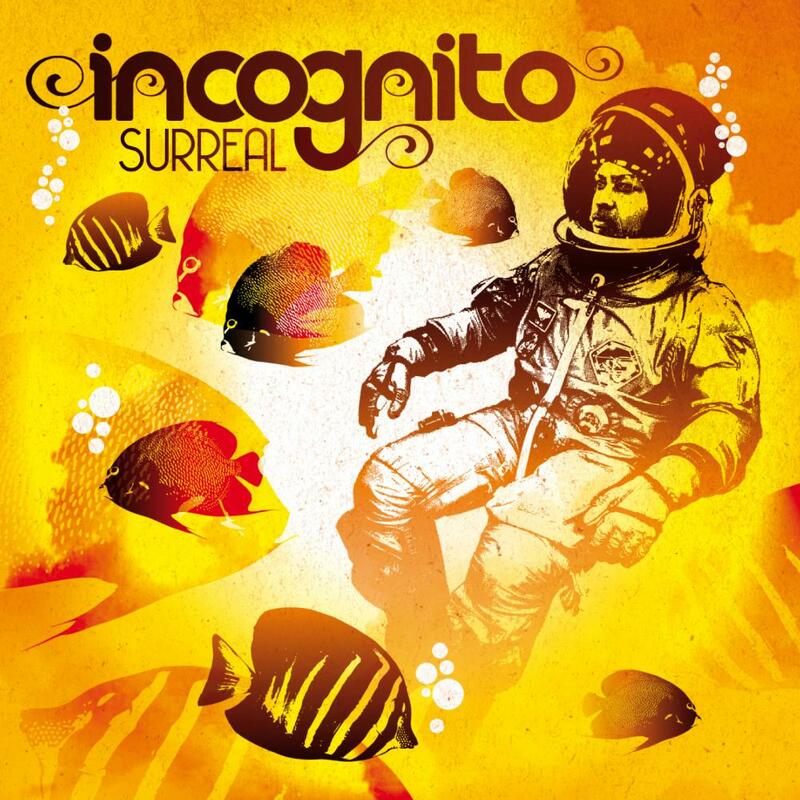 The first single ‘Goodbye To Yesterday’ features a new addition to Incognito’s line-up. German-born singer/songwriter Mo Brandis, who is also responsible for one of Germany’s biggest hits last year, convinces with his warm and soulful voice. Another new addition to Incognito is the shining vocalist Natalie Williams, one of the most in-demand jazz vocalists in the UK, who contributes to the soulful ‘Above The Night’ and the 70ies-style bossa nova ‘The Stars From Here’. The funky, bass-driven opener ‘The Less You Know’ is sung by Blue’s “awesome musical muse” Maysa who also joins the band on the bubbling, rhythmic grooving ‘Capricorn Sun’. Last but not least in the list of great vocalists is Vanessa Haynes, who joined Incognito two years ago and not only enriches ‘Don’t Break Me Down’ and ‘To Be With You’ with her incredible power and subtlety but also Incognito’s rendition of Queen Yahna’s 70s disco tune ‘Ain’t It Time’. Congratulations everyone, job successfully done!